NC Medicaid Extrapolation Audits: How Does $100 Become $100,000? Check for Clusters! Extrapolation. If you are a Medicaid provider and have either received a Tentative Notice of Overpayment (TNO) or heard horror stories about TNOs, then the word, ‘extrapolation,’ most likely, will cause you to grimace. So many providers come to me asking, “The audit amount was only for $1,500. 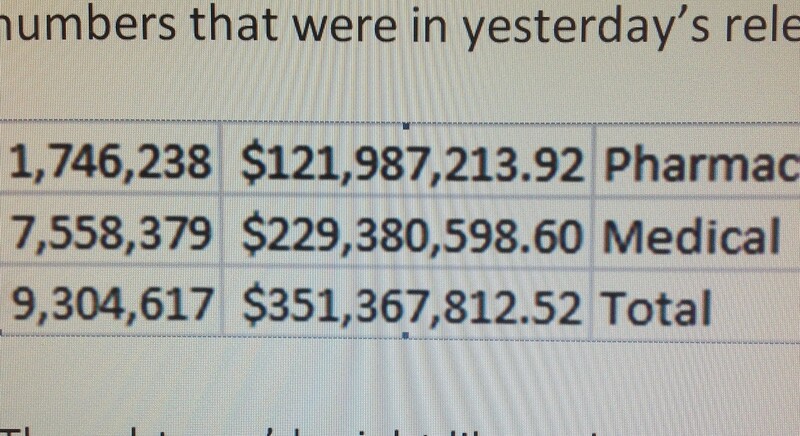 How did that $1,500 become $850,000?” Or $1.5 million. Or $400,000? It does not seem to make sense. But wouldn’t it be a beautiful thing if extrapolations worked in the opposite way? You put $1,500 in your bank account and the bank extrapolated the $1,500 to $850,000? Or $1.5 million? Or $400,000? If opposite extrapolation existed, then maybe I would like extrapolation. Why? Because I would have a monetary incentive to like, accept, even agree with extrapolation. Similarly, the Recovery Audit Contractors (RACs) have the monetary incentive to like, accept, even agree with extrapolation. Approximately a 12.3%-contingency-fee incentive. What exactly is an extrapolation? Extrapolation is a statistical procedure in which the auditor takes findings from a small sample of Medicaid-paid claims and, using a mathematical formula, projects those results over a much larger “universe” of claims producing, in many cases, large dollar audit overpayments…sometimes even producing a overpayment amount over the amount the provider was actually paid. Seem fair? No, at least, when these extrapolations are erroneously conducted. But, sadly, I believe extrapolations are here to stay. Even if I do not think Public Consulting Group (PCG) is here to stay in North Carolina, another RAC will take PCG’s place. “Medical Practice Compliance Alert” agrees with me. 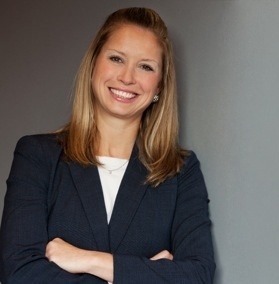 The July 8, 2013, issue of “Medical Practice Compliance Alert,” states “Like it or not, extrapolation audits are becoming the norm…” See Volume 25, Issue 13 (by Lauren C. Williams). Ms Williams also wrote that in one case she reviewed the overpayment was for only $10,000+, but the overpayment was extrapolated to $10 million. Extrapolation is allowed by statute. N.C. Gen. Stat. 108C-5 allows the RAC to extrapolate. But limits the audit period to 36 months from the date of payment of a provider’s claim. The North Carolina Administrative Code (NCAC) specifically sets forth the technique for such extrapolations. (a) The Medicaid agency will seek restitution of overpayments made to providers by the Medicaid program. (b) The agency may use a Disproportionate Stratified Random Sampling Technique in establishing provider overpayments. (c) This technique is an extrapolation of a statistical sampling of claims used to determine the total overpayment for recoupment. Disproportionate Stratified Random Sampling Technique. I had a tough time, as a double-major in English and Poli-Sci, with the whole “stratified” definition until I spoke, at length, with a statistician expert. According to (we will call him Bill) Bill, two of the most important factors in a Disproportionate Stratified Random Sampling Technique are randomness and strata being mutually exclusive. Meaning, each date of service (DOS) and each Medicaid recipient must be independent of one another, i.e. if Medicaid recipient X on DOS 1/1/10 is found to be incorrectly found noncompliant, then no other recipient and no other DOS should be contingent on finding of noncompliance from recipient X, DOS 1/1/10. (As I explained to Bill, I had heard of strata before…plural for a layer of sedimentary rock or soil…but, apparently, this was a different strata). PCG audited 100 claims of my client, Samantha, the Medicaid provider. Of the 100 claims, PCG audited 5 DOS for Medicaid recipient A: 2/3/10, 2/17/10, 3/1/10, 3/12/10, and 3/19/10. The reason that PCG cited all 5 claims as noncompliant was that the auditor found no consent for services by the recipient. In actuality, there was a consent for services. The Medicaid recipient was only 10, so his mother signed the consent. Problem? Mother’s last name was different from child’s last name? So PCG did not know that the signator was the mother. (Really, I say? Really?? In 2013? FYI: My last name is different from my daughter’s last name. But no private insurance has ever questioned the connection between my daughter and me). Anyway, once the issue with the consent was cleared up (by explaining the child’s mother signed the consent), all 5 DOS were found compliant. My statistician expert called this “a cluster.” The importance of a cluster is that the strata is all messed-up. A strata must be independent, one-element-affects-one-claim, otherwise the entire extrapolation is compromised. If you want the statistics of flipping a coin and you flip a coin one time, then hit heads and just assume that heads would have been hit every time you flipped the coin…that’s a cluster. No independent probability. Or…tape 5 coins on a piece of paper, all showing heads. Flip the paper and determine, if it lands with all heads facing-up, that, if independently thrown, all coins would have landed on heads. Again, no independent probability. Think about it…PCG (or whatever RAC) reviews 100 claims. From those 100 claims, it extrapolates. But, what if, 5 or 10 or 20 claims are contingently dependent upon one another? Then the extrapolation is invalid. Because, for an extrapolation to be valid, each claim must be independent; each element must affect one claim. So, PCG (or whatever RAC) says you owe $1 million? Check for clusters!!! So many providers in North Carolina who accept Medicaid have contacted me asking whether they have a legal case to bring a lawsuit against Computer Sciences Corporation (CSC), the company who created and is running NCTracks, for monetary damages. In order to determine whether grounds for a lawsuit exist, you need to determine, generally: (a) Did CSC have a duty to timely pay Medicaid reimbursements to you; (b) Did CSC breach that duty; (c) Did you suffer monetary damages? The agency must pay 90 percent of all clean claims from practitioners, who are in individual or group practice or who practice in shared health facilities, within 30 days of the date of receipt. The agency must pay 99 percent of all clean claims from practitioners, who are in individual or group practice or who practice in shared health facilities, within 90 days of the date of receipt. 90%….within 30 days. Let’s see…last payments were June 20, 2013. It is July 26, 2013. No payments have been rendered to many providers in 36 days, and, according to one provider, he was told that he will receive reimbursement for at least another 2 weeks. I don’t think the Department of Health and Human Services (DHHS) is intentionally not paying providers Medicaid reimbursements for services rendered. I don’t think that DHHS meant for NCTracks to not pay some providers. The Department has failed to fully test the system, and the production testing process has flaws. • Key decisions about the addition of 1,500 user accounts and privacy and security procedures have yet to be made, increasing uncertainty about project readiness. • A vendor hired to oversee the project did not conduct independent verifications as expected by the federal agency that administers Medicaid, and another vendor was permitted to set its own guidelines for whether its work was acceptable. • No formal criteria exists to determine whether the new system is ready to go-live. Why DHHS pushed NCTracks to go “live” on July 1, 2013, despite obvious concerns cited by the State Auditor, we may never know. It reminds me, somewhat, of kudzu and the fact that humans like to think that everything is controllable. Kudzu is not native to America. Kudzu was originally introduced to America from Japan at the Japanese pavilion in the 1876 Centennial Exposition in Philadelphia. Kudzu was touted as a high-protein content cattle fodder and as a cover plant to prevent soil erosion. So people planted kudzu, thinking that kudzu would be an asset to our environment. Instead, kudzu had drastic negative effects on our environment. Kudzu is often dubbed “The Vine That Ate the South.” It has spreads at the rate of 150,000 acres (61,000 ha) annually. The problem with kudzu is that kudzu kills or damages other plants by smothering them under a blanket of leaves, encompassing tree trunks, breaking branches, or even uprooting entire trees. Kudzu’s ability to grow quickly, survive, and acquire resources quickly allows it to out-compete native species. So, think about it, we wanted kudzu because we thought kudzu would be a good thing. We did not research kudzu’s growth rate or kudzu’s interactions with American foliage. We did not perform test sites of kudzu to analyze the effects of kudzu on our environment. We didn’t even grow kudzu in a controlled environment to determine whether kudzu’s rate of growth would negatively impact our plants. Oh no, we saw kudzu, and, like a kid in a candy store, we said, “Oooohhhh….we want kudzu!” So we planted kudzu. We thought we could control kudzu. I don’t think the Japanese, who introduced kudzu, nor the Americans, who accepted the kudzu, intentionally planted kudzu in order to kill plants and trees. I don’t think that the people who planted the kudzu meant for kudzu to have drastic negative consequences to our environment. Regardless of intent, people who planted kudzu did so without fully testing kudzu’s impact on our environment. In reality, kudzu is estimated to have lost us approximately $100–500 million per year in forest productivity…as in what we could have made by trees actually growing. In addition, it takes about $5,000 per hectare (2.5 acres) per year to control kudzu. For power companies, it costs about $1.5 million per year to repair damage to power lines. See Forseth. Jr., I.N. and Innis, Anne F.“Kudzu (‘‘Pueraria montana’’): History, Physiology, and Ecology Combine to Make a Major Ecosystem Threat” Critical Reviews in Plant Sciences, Vol. 23, 401-413, 2004. Similarly, DHHS (regardless which administration) saw a new computer system, NCTracks, and like the kid in the candy store, said, “Ooooohhhh…we want NCTracks!” So we purchased NCTracks. We thought we could control NCTracks. Now, due to the failure to fully test NCTracks and the “glitches” surrounding NCTracks, NCTracks, like kudzu, is producing drastic negative effects on our health care providers. Some providers are losing hundreds of thousands of dollars per week due to NCTracks. One provider told me that he already closed one location and terminated 6 staff due to NCTracks. NCTracks is not, at least for many, many health care providers, timely paying Medicaid reimbursements. But what are the monetary damages? What if you file a lawsuit against CSC and the day after you file a lawsuit you are paid in full? Do you still have any damages? I got an email from a pediatric physician; we will call her Amy. For the past few weeks, Amy has been unable to sleep. She has not been paid since June 20, 2013. Unlike most providers, she does not limit the number of Medicaid recipients at her practice, and Medicaid is 85% of her income. Amy spent her one-week-long vacation on-hold with NCTracks 70% of the time. She is behind on work. She has decreased her clinical hours. Amy was forced to ask her parents for a loan to make payroll, and still has not paid all her staff completely. Last week, Amy and her husband did not have enough money for groceries until her husband was paid on Friday. Yesterday, when Amy contacted NCTracks, she was told that, according to NCTracks’ records, Amy was paid. But no money is in Amy’s bank account. Even if Amy were paid tomorrow by NCTracks, don’t you think that Amy suffered additional damages? Maybe we should just plant a bunch of kudzu around NCTracks and CSC. Imagine two health care providers. Provider “Anthony Loves” is a home health agency with approximately 15-20 staff and Medicaid accounts for 100% of its business. Provider “Huma Health” is a large corporation at which 10 medical professionals provide primary care to pediatric patients. Medicaid constitutes 20% of Huma’s payments; private insurance companies make-up 80% of the income. Which provider, Anthony Loves or Huma Health, will be most adversely affected if NCTracks suffers a “glitch” and Medicaid reimbursements are not paid timely? Answer? Anthony Loves. In fact, most providers similar to Anthony Loves have approximately 2 pay periods, or, maybe even 1, that can pass without Medicaid reimbursements before the providers are forced to close their doors. Discrimination against small providers? Probably not. Disparate impact? Maybe. Just plain, old unfair? Absolutely. Since July 1, 2013, when NCTracks went live, the Department of Health and Human Services (DHHS) has touted the beauty, the efficiency, and the overall success of NCTracks in the media. DHHS is sugar-coating a state-wide, disastrous pill for small providers to swallow. Is NCTracks successful in a discriminatory manner?…As in, are small providers suffering the errors of NCTracks disproportionately than large providers, i.e., hospitals, large institutions. Will NCTracks force small providers to close? Is the NCTracks’ Medicaid reimbursement system resulting in a “disparate impact” on small providers? I know, I know, I know…”disparate impact” is used in constitution law when describing a discriminatory situation in which a minority group or protected class is adversely affected. And…I understand that a legal “disparate impact” argument does not apply to small providers, as, unlike women or minorities, “small providers” do not constitute a “suspect class.” And I understand that NCTracks is not a “law” per se (normally in a case for “disparate impact,” you have to show that a statute or law is causing the “disparate impact”). So, folks, please understand that I am using “disparate impact” loosely for the purposes of this blog and not according to the legal definition of “disparate impact.” (Professor Kobach would be disappointed). Back in 1974, New Bedford had a law that stated that a person applying to become a police officer must be 5 feet 6 inches or taller. Obviously, the 5’6″ requirement disproportionately adversely affected women because, generally, women tend to be shorter than men. Obviously, I would never have been able to be a police officer in New Bedford in 1974, as I am 5’4″. So far, when asked about any potential glitches with NCTracks (and by glitches, I mean, providers are not receiving Medicaid reimbursements), DHHS says, “Sure, there are glitches; sure there are bumps; we expected bumps. But, overall, NCTracks is the bomb-diggity.” (DHHS does not use the term “bomb-diggity,” but you get the point). Again, sugar-coating. According to DHHS, NCTracks has processed nearly 9.3 million claims in the last checkwrite, and as of the last checkwrite, the system has been on or ahead of schedule with checkwrite payments, paying out more than $350 million to health care professionals. That’s a lot of payouts. If DHHS is correct and NCTracks has paid out over $350 million in Medicaid reimbursements, then why have I been receiving so many phone calls and emails from Medicaid providers who have received ZERO Medicaid reimbursements since June 20, 2013? Which leads me to question…of those 9.5 million claims, were those just the successful claims? How many total claims have been attempted in all? The pharmacies are getting paid. But what services are included in “Medical?” Everything else? What is the breakdown of “medical” payments? Does “medical” include hospitals, dentists, primary care physicians and every single medical services? I do not know what medical services are bunched together to constitute the $351,367,812.52 medical payout. But from comments I have received regarding lack of Medicaid reimbursements due to NCTracks, it appears that small providers are suffering. It appears that small providers are suffering a disparate impact. Why have these providers been wholly UN-successful when NCTracks has supposedly paid out $350 million since July 1, 2013? Why has DHHS neglected to bring this issue to light? My guess? Small providers are not receiving Medicaid reimbursements, whereas the big providers are being paid. If Duke University Medical Center were not receiving Medicaid reimbursements, we would have heard some very loud complaints. Same for Rex and UNC. Since we have NOT heard from hospitals regarding nonpayment of Medicaid reimbursements, I am inclined to believe the hospitals ARE getting reimbursements. Maybe even $350 million worth. The providers quoted above are not large institutions. They are small/medium-sized Medicaid providers. Not being paid for 5-7 weeks is devastating for the smaller providers. Which leads me back to my original question….Is NCTracks creating a “disparate impact” on small providers? So what is the solution? A lawsuit? In the last few days, I have been contacted by numerous dentists, home health care providers, and behavioral health care providers, who have not been reimbursed for services rendered and who would like to sue Computer Sciences Corp. (CSC), the company that created NCTracks. CSC is being paid $484 million for developing the system and running it through 2020. The problem with all lawsuits against large entities, such as CSC, is the price tag. A lawsuit is so expensive that it impedes providers from being able to bring a lawsuit. Or a behavioral health care society…. Regardless, providers need to know that other providers are also suffering. And if any provider IS receiving Medicaid reimbursements, please share what, if anything, you did to get NCTracks to work. I once saw David Copperfield live. I was convinced prior to the show that I would be able to determine how he performed the illusions. I just KNEW that I would see the strings or the trapdoor. But I did not. I was thoroughly amazed. Despite the fact that I still know that magic is not real, I was still awe-struck and entertained. Realistically, magic is just smoke and mirrors. But, dag on, those smoke and mirrors do a fantastic job. At times, while watching a magic show, I find myself actually believing in magic. That is the power of smoke and mirrors. Smoke and mirrors do not only appear in magic. Many politicians are expert wielders of smoke and mirrors. So to are many salesmen. And, apparently, East Carolina Behavioral Health (ECBH). The problem is that the “surface level” or rate increase “on its face” is never the whole story. (Which is why ECBH’s rate increase is such an amazing use of smoke and mirrors. Most people will never see past the smoke). The MCOs are prepaid. If the MCOs’ do NOT contract with providers and NOT authorize services, profits rise. But would an MCO REALLY deny medically necessary services, theoretically, to INCREASE profit?? You can decide. However, one of my clients hired me because ECBH denied 100% of continuing authorizations and new referrals for ACTT services in Pitt County. ACTT services are reserved for the extremely mentally ill. These are the people who need 24-hour services; recipients receiving ACTT services are people who must receive the ACTT services to function. Yet, ECBH denied 100% of my client’s new referrals and continuing authorizations. One such denial was a Medicaid recipient who had been arrested 6 times since April 2012. After the ACTT denial, the Medicaid recipient was again incarcerated, which is where the recipient is now. Another denial resulted in the Medicaid recipient being hospitalized for suicidal ideation. For recipients already receiving ACTT services, ECBH has forced my client to “step-down” the recipients to outpatient behavioral therapy (“OBT”). Of the Medicaid recipients that ECBH has forced Petitioner to “step-down,” three recipients were immediately referred back to ACTT when the OBT providers stated that the recipients suffered too high acuity of mental health illness to manage in OBT setting. Two recipients were incarnated after discharge; the jail employees are complaining of psychiatric problems that are difficult to manage. Back in May 2013, the local news channel in Greenville, North Carolina, aired “9 On Your Side Mental Health Town Hall exposes problems, brings you answers.” The news channel coverage demonstrates the possibility of the widespread breath of ECBH denials, in general. Maybe ECBH’s denials of medically necessary services is not limited to my client’s personal situation. Regardless of the breadth of ECBH’s denials of medically necessary services, back in May 2013, ECBH was getting some bad marketing from the local news. So what does ECBH do? Raise reimbursement rates. If, in fact, ECBH is denying many medically necessary Medicaid services in order to raise profit, then isn’t ECBH’s rate increase just smoke and mirrors? NC Medicaid: Are New Mexico and NC Medicaid Providers Fraternal Twins? At Least, When It Comes to PCG! North Carolina and New Mexico? Fraternal twins? Remember Arnold Schwarzenegger and Danny Devito? I don’t know about you, but I imagine New Mexico is as identical to North Carolina as chicharrones are to grits. And I can only imagine what New Mexicans think of us. The words “redneck,” “chewing tobacco,” and “backward” come to mind, although being born and raised in NC, I would take vehement objection to those stereotypes. Regardless, as polar opposite as New Mexico and North Carolina may or may not be, we have at least one commonality. Public Consulting Group (PCG). Since I posted my blog: “Even New Mexico Identifies PCG Audits as “Unreliable!”” I have had the pleasure of speaking to a number of New Mexicans (although one sounded, surprisingly, British). 1. PCG is equally as inept in New Mexico as here. No explanation needed. 2. NM has no administrative remedy for providers. Whereas, we can request a reconsideration review with the Department of Health and Human Services (DHHS) when providers receive an outrageous Tentative Notice of Overpayment (TNO) from PCG, and, ultimately, appeal the DHHS decision to the Office of Administrative Hearings (OAH), apparently (remember I have never taken the Bar in NM, so if a NM lawyer would like to explain, I would be much obliged) there is no administrative process in NM. So, it seems, that the NM providers have to file an injunction in state or federal court to cease PCG’s erroneous auditing. Ugh! 3. In NM, PCG is freezing funding. So, in NM, PCG is acting similar to what may occur if you squished PCG and CCME together. Could you imagine? PCG and CCME merging? I shudder at the thought. 4. The suffering of Medicaid providers is not limited to state lines. New Mexican providers who accept Medicaid are suffering as much as NC providers who accept Medicaid are suffering. As I informed my blog readers a couple of days ago, 15 behavioral health providers in NM filed an injunction against the State and PCG staying the providers’ frozen Medicaid funds. Now the NM State Auditor (our Beth Wood) will be reviewing the “special audit” that, supposedly, contains evidence of alleged overcharging, etc. by the 15 providers. (The special audit is the basis for the providers’ frozen funds….kinda like being on prepayment review, huh?). [New Mexico] State Human Services Secretary Sidonie Squier has refused to give State Auditor Hector Balderas a copy of the special audit that she says found evidence of alleged overcharging and possible fraud on the part of 15 behavioral-health providers. But on Tuesday, Balderas got a state district judge to subpoena the audit. Meanwhile, on Wednesday a federal judge in Albuquerque heard arguments by lawyers for Human Services and eight of the providers whose Medicaid funding was frozen because of the special audit. The eight firms are seeking an injunction to force Human Services to resume payments to the providers. However, U.S. District Judge Christina Armijo took no immediate action on the request. Public Consulting Group, a Boston company, was paid more than $3 million to audit the providers. Squier on July 12 responded in a letter to Balderas saying she was declining to release the audit to him. “At this time no determination has been made that any individual or entity violated federal or state criminal statue, nor does [Human Services] have the authority to make such a determination,” the letter states. Of the federal laws and regulations that require the department to turn “credible evidence of fraud” over to the state attorney general for investigation, Squier said, “Such a referral is not a finding of fraud by this agency.” She said she had to decline Balderas’ request because it could jeopardize the state attorney general’s investigation. State District Judge Sarah Singleton of Santa Fe on Tuesday signed a subpoena requiring Squier to permit the state auditor to inspect the Public Consulting Group audit at 10 a.m. Monday. Department spokesman Matt Kennicott said Wednesday that Squier and department lawyers will have to look over the subpoena before deciding on their course of action. Earlier in the week, Rep. Stephen Easley, D-Santa Fe, and Sen. Benny Shendo, D-Jemez Pueblo, chairmen of a legislative subcommittee on behavioral health, delivered a five-page letter to Balderas requesting his office examine the Public Consulting Group audit. The letter raised issues including the role of OptumHealth, the company in charge of overseeing the behavioral health providers, and how the five Arizona companies — with which the state is contracting to take up the slack of the providers under investigation — were chosen. Does it matter to you, my reader, that all this hullaballoo is occurring on taxpayer money? And Medicaid state and federal money. Our tax dollars are paying PCG. DMA’s Own Error Regarding NCTracks Causing Dentists Undue Hardship? As a Medicaid attorney and a bloggist (is that a word? ), I tend to get numerous phone calls during the day from people with “information” or “evidence” that will, if I use it correctly, “take down Medicaid.” Numerous callers claim to have “smoking guns.” First of all, I do not wish to take down Medicaid. I only wish that Medicaid recipients receive good, quality healthcare, Medicaid providers receive reasonable reimbursements , and the State of North Carolina manages Medicaid in a cost-efficient, effective manner. One can dream, right? With all the “smoking gun” phone calls, I rarely publish a blog without considerable research. Today, I am bucking my own rule. This blog is unverified. This blog is based-off of a telephone call. The only reason I am publishing an unverified blog is because (a) Medicaid is so crazy right now…so many changes…so many players…so many bad things happening to Medicaid providers that, I believe, the more information the better; (b) I do not believe I could ever verify this blog completely; and (c) if this blog is even partially correct, maybe, I will educate/inform some dentists who accept Medicaid. Still…what if it is only 1/2 true? Then Department of Health and Human Services (DHHS) has been less than upfront regarding the success of NCTracks. Raleigh, N.C. – Today, the North Carolina Department of Health and Human Services (DHHS) announced that NCTracks will successfully pay its first round of Medicaid claims this week, surpassing expectations of many health care providers. According to Jane, who runs 6 dental practices, Jane has not received 1 penny from Medicaid since June 20, 2013 (the cut-off for billing before NCTracks went live). Almost 1 month. In order to meet payroll, Jane was forced to get a loan from a bank. So far, Jane’s dental practice is owed approximately $300,000 in unpaid Medicaid reimbursements, no small amount, especially when Medicaid reimbursements barely cover administrative costs as it is. To make matters worse, Jane was informed by the Division of Medical Assistance (DMA) that the Wednesday, June 17, 2013, checkwrite (EFT effective date) will not occur. She also heard that the Tuesday, July, 23 2013, checkwrite date will not occur unless quick and drastic measures are taken. Jane said that, at first, Jane was worried that she was not doing something correctly and that the lack of reimbursements were somehow her fault. She contacted DMA and asked many questions. Without Medicaid reimbursements, many smaller dental practices will be forced to close because they simply cannot function without these Medicaid reimbursements; they won’t be able to make payroll. If this is a widespread, state-wide issue for all dental providers who accept Medicaid, I say, “Shame on you, DHHS, for not publicizing that Medicaid reimbursements are not being paid to dentists across the board.” Many dental providers are probably, as Jane did at first, wondering what they are doing wrong. They have probably wasted hours and hours reviewing the billing claims and trying to assess what the problem is (probably blaming the billing person at their office). We all understand DHHS’ utter abhorrence if (a) this were true; and (b) the media found out, but, AT THE VERY LEAST, publicize the issue to the dental providers adversely affected. NCTracks has been a heated issue for DHHS since the beginning. Before NCTracks ever went live, the NC Office of State Auditor issued a report that NCTracks had failed to fully test a new $484 million computer system scheduled to begin processing Medicaid claims on July 1. See my blog on NCTracks. 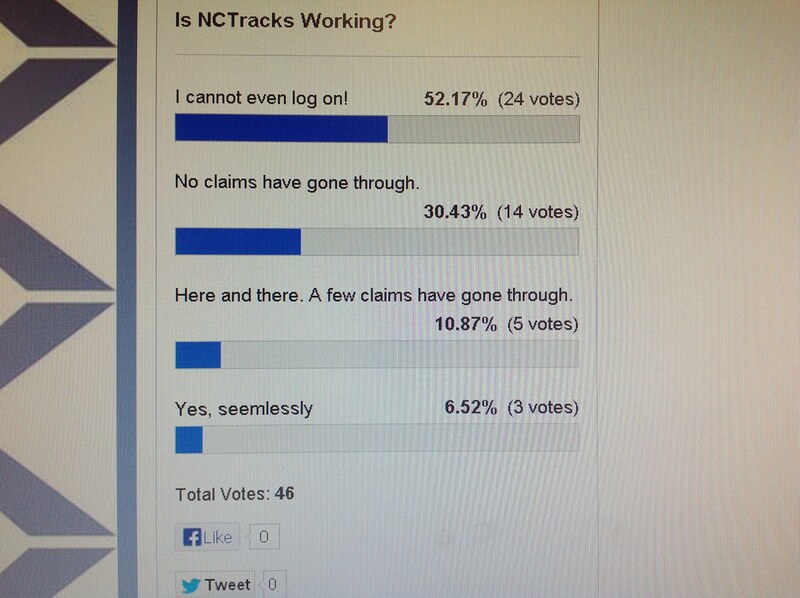 Since July 1, 2013, when NCTracks went live, I have heard numerous complaints. But, from I have seen in the media, DHHS has touted NCTracks’ success, saying, despite some bugs (which are to be expected), NCTracks has done great. The below article was published in New Mexico on July 13, 2013. New Mexico!! Think about it…Public Consulting Group (PCG) is doing such a poor job of auditing that a journalist in New Mexico is writing about PCG in North Carolina. Folks, for those of you who thought that PCG is only mucking-up the audits in NC…think again…the muck-ups are cross-country. Yet, PCG is still conducting Medicaid audits. Every day that PCG performs Medicaid audits, providers who accept Medicaid are unreasonably harassed. For the sake of demonstrating some of the muck-ups, I have listed below a sample of three “muck-ups” of which I have a part, as well as the outcome of the muck-up. The Boston-based company that found $36 million in Medicaid overpayments to 15 New Mexico behavioral health providers — and claimed evidence of fraud by the companies — did a similar study with similar results in North Carolina. One North Carolina provider that allegedly overcharged the state by more than $1.3 million actually had overcharged by less than 2 percent of that amount, the North Carolina state auditor said. No spokesman for Public Consulting Group could be reached for comment Friday. But a spokesman for the New Mexico Human Services Department on Friday defended the company’s work in North Carolina. In New Mexico last month, based on the audit performed by Public Consulting Group, the state Human Services Department froze funding for 15 behavioral health providers and referred the audit to the Attorney General’s Office for possible criminal prosecution. Three of the 15 providers have had their funding fully or partly restored. But eight of the providers filed a federal lawsuit against Human Services Secretary Sidonie Squier. In the suit, the providers claim the action has been financially devastating. Some of the behavioral health companies have begun furloughing employees and shutting down services. New Mexico’s Human Services Department is in the process of contracting with five Arizona companies — at a cost of up to $17.8 million — to be “on stand-by” to provide help with behavioral health services. State Auditor Hector Balderas said Friday that his office has received complaints about the behavior health provider issue and that his auditors and investigators are currently making “formal inquiries” to decide what course of action to take. Balderas said he’s already reached out to the North Carolina state auditor concerning the PCG Medicaid audit in that state. The providers’ lawsuit brings up Public Consulting Group’s work in North Carolina, saying the company made auditing errors in New Mexico similar to mistakes made in North Carolina. The company was hired by that state’s Health and Human Services Department to help identify Medicaid fraud. The contract was based on how much potential overpayments to providers they could identify. PCG reported $38.5 million in Medicaid overpayments and was paid $3.2 million. However, in a July 2012 report, North Carolina State Auditor Beth Wood found that of the $38.5 million overpayments cited, the Health and Human Services Department had only been able to collect $3.7 million — less than 10 percent. The report found at least one example in which the initial overpayment claimed by PCB turned out to be drastically less. Wood told the station that the way the contract was written was an incentive to PCG to inflate its findings. Matt Kennicott, external affairs director for New Mexico’s Human Services Department, said the company’s New Mexico contract was not based on how much potential overpayments it identified. “There is zero financial incentive for them to produce findings,” he said. Kennicott said North Carolina benefited from PCG’s work there and has seen a 23 percent improvement in provider compliance in the past two years because of the audits. “The vast majority of PCG’s clinical findings have been upheld by the [North Carolina] Department of Health and Human Services during their due process hearings,” Kennicott said. “More than 85 percent of their audit findings have been upheld during hearings upon appeal” in North Carolina, he said. One of the best proactive measures to protect yourself from a Medicaid audit (all this goes for all types of providers… hospitals, psychiatrists, dentists…) is to conduct a self-audit. Without question. That way you can identify potential issues and fix them; thereby, in the long run, limiting your liability to a recoupment. But…TAKE HEED! If you are going to self-audit, then fix any errors found. Do not find errors and do nothing. If you neglect to fix the errors found in a self-audit, then the penalty for not fixing a known error COULD be harsher than never knowing the errors. THE PIGEONS, terrified by the appearance of a Kite, called upon the Hawk to defend them. He at once consented. When they had admitted him into the cote, they found that he made more havoc and slew a larger number of them in a single day, than the Kite could possibly pounce upon in a whole year. Avoid a remedy that is worse than the disease. I am definitely not comparing the Division of Medical Assistance (DMA) to a kite. Maybe Aesop should have used two, equally, scary animals, but, in Aesop’s defense, I’m sure that the pigeons were terrified of the kite. As for the pigeons…A Wisconsin-based medical clinic conducted an internal audit of 25 claims per physician. Good job! Be proactive! However, the clinic discovered that 2 physicians were up-coding over 10% of their claims. As required, the clinic returned overpayments for those specific, up-coded claims. So, obviously, whoever conducted this self-audit on the Wisconsin clinic informed the 2 physicians that their abhorrent billing practices were discovered and that they should immediate cease all up-coding, right? Or, at the very least, continued to monitor these 2 physicians’ billings, right? The clinic conducted no more self-audits on those 2 physicians. In fact, the clinic stopped conducting self-audits all together. Furthermore, the clinic allowed those 2 physicians to continue billing without supervision. Ugh! As expected, a former employee filed a whistleblower lawsuit against the clinic. The lawsuit is pending, so we have no way of knowing the extent of whatever penalty this clinic may suffer. But, the warning is out! If a practice is billing Medicaid incorrectly, discovers the errors, and fails to take corrective action it COULD be considered fraud. If you want to read the whole article click here. The moral of the story? Avoid a remedy that is worse than the disease. “House Speaker John Boehner (R-Ohio) said July 11 the House will vote the week of July 15 to delay implementation of two key pieces of the Affordable Care Act, the requirements that individuals have health insurance coverage and that businesses above a certain size provide coverage. “Next week the House will vote to delay both the employer mandate and the individual mandate. I believe that it’s unfair to protect big businesses from ObamaCare but not individuals and families,” Boehner said at his weekly press conference. This information is from BNA health Care Polic Report. It has now been 10 days with NCTracks. I have gotten almost all complaints. But I have received a couple positive remarks. Regardless, 3 voters voted that NCTracks is working “seamlessly.” How is NCTracks working so well for some and caused so much frustration and loss of received-revenue for others? I suggest another poll. In this poll, you can add your own answers.